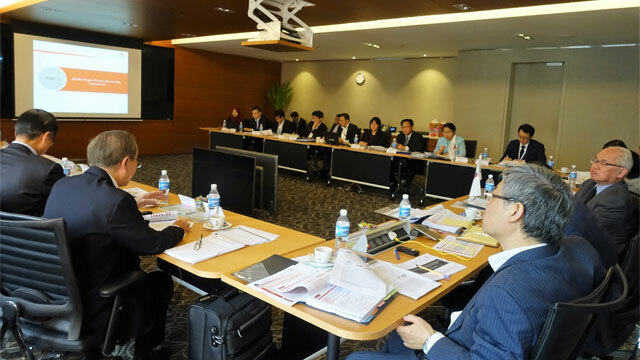 Singapore, March 15, 2017 – Today, AMRO hosts an Informal Consultative Meeting to seek views on its draft inaugural ASEAN+3 Regional Economic Outlook. As an annual flagship publication, the report covers both regional economic outlook and timely thematic topics that focus on issues of policy interest. The adopted theme for the inaugural report in 2017 is ASEAN+3 Region: 20 Years after the Asian Financial Crisis. This meeting, held in conjunction with the AMRO Advisory Panel (AP) Meeting, provides AMRO with valuable comments and insights from AP members as well as external guests, including senior policy makers, renowned academics and economists from the region. The report is set to be launched at the side of the ASEAN+3 Finance Ministers and Central Bank Governors Meeting in Yokohama, Japan, in May 2017.